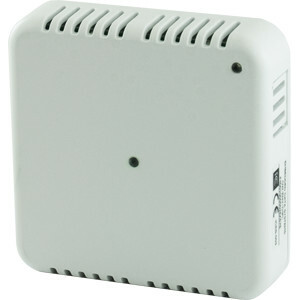 The MeshNet Wireless Temperature / Light Sensor, MN-ENV-TL, provides an intuitive way to reliably monitor and control temperature and light in indoor environments. Wireless transmissions utilize the 2.4GHz frequency range allowing for global usage. Each Temperature / Light sensor can be tailored through the user defined parameters to provide the appropriate responsiveness & battery life. The wireless sensors provide highly accurate temperature and light readings; as well as a pulse counter, and a discrete input. 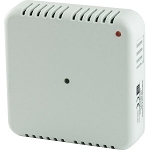 Alarm Responses - The LED and optional relay response times are extremely fast; the sensors are able to respond appropriately (activate fan/alarm siren/etc) even before the monitoring application is aware an alarm has been triggered. 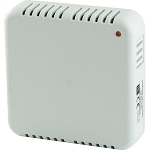 Since, the EDS Temperature / Light Sensor's alarm functions can operate independently of the MeshNet Controller the sensor can be used as a standalone Thermostat.